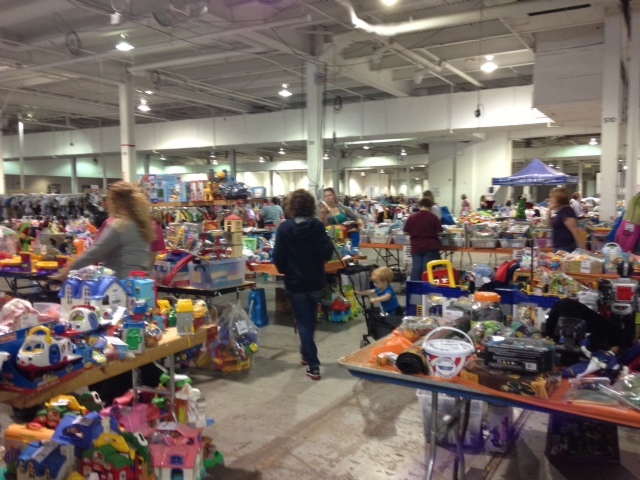 The JBF Philly sale at the Greater Reading Expo Center. When it comes to buying clothes, toys, supplies, etc. for your kids, frankly the prices can get out of hand. When it comes to clothes, generally speaking your kids will grow out of them so quickly that you rarely really get your moneys worth with them. Then, what do you once they outgrow those clothes? Donate them? Give them to a friend? Luckily, you have another option when it comes to getting all things kids related. The Just Between Friends Children’s and Maternity Consignment Sales Events! 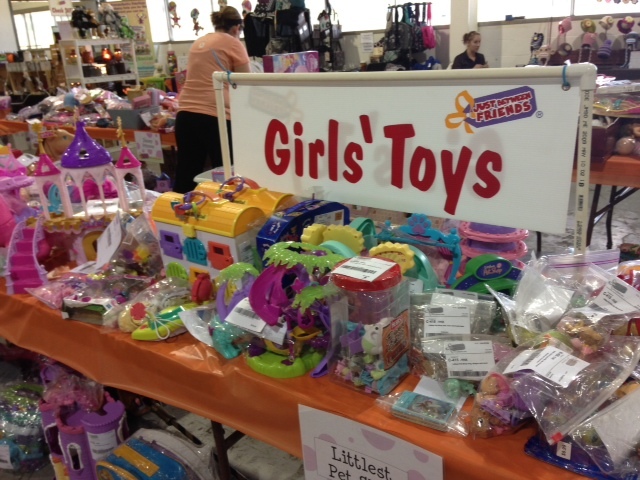 Not only are JBF sales a great place to find gently used clothing, toys, and supplies for your kids, at good prices, but they’re also a great a way to clean out your house! For the first time, Sarah and I are participating as sellers at the JBF Reading sale at the The JBF Philly sale at the Greater Reading Expo Center. We were able to go through all of the clothes we had for Sophia that weren’t going to be able to be used for Maddie and let other parents buy them. It really is a great tool for all parents. It really doesn’t matter what you’re looking for, chances are there is going to be many items at the sale that are what you’re looking for. While, it’s a lot of work going through old items, pricing them, etc., it’s totally worth it. We’ve found some really great items already this year for both the girls and haven’t had to shell out an insane amount of money to do so. Plus, that money is going into the pockets of other parents who can use the money. Really, it’s a win-win for all parents involved! For more info on Just Between Friends take a look at their website: http://jbfsale.com/home.jsp. You can find all the information you need to know about finding a sale, participating, etc. on their site. A blog about parenting, sports and life. An at-home dad on a mission to keep it real when it comes to food, fun, and raising a healthy, happy family.